For MMGM, I am recommending Upside-Down Magic by Sarah Mlynowski, Lauren Myracle, and Emily Jenkins. For Nory, this means that instead of being able to turn into a dragon or a kitten, she turns into both of them at the same time-a dritten. I really enjoyed this book, seeing as how I read it in 2 days (although it is short) and have already started the first sequel (book 4 will come out this January)! The main character of the book is Nory, a girl who lives in a world where everyone has some sort of magic powers. Nory's powers, like those of many others in the book, allow her to turn into different animals, but, unlike the powers of others, these animals are usually not one animal, but a blend (such as the dragon-kitten combination, or "dritten," shown on the cover). In addition, Nory often loses control over her animal forms to pure instinct. For these reasons, Nory does not get into the private magic school run by her father, who sends her away from her family to live with her aunt and go to a public school. During the course of the book, Nory struggles with being away from her family and having trouble in her class, but she also starts to like her aunt, teacher, and classmates and learns that her powers, despite being judged and ridiculed by many, can actually be useful. 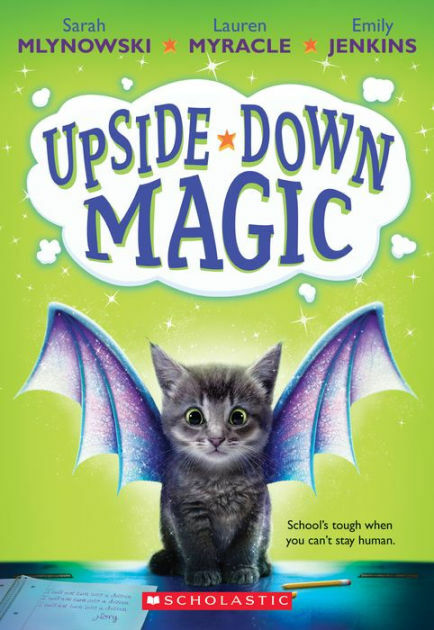 All of the characters in Upside-Down Magic are fully fleshed-out (even the bullies), and the plot never drags on, instead moving quickly thanks to the book's short size. Although this book is aimed at 5th or 6th graders, who will definitely enjoy it, older readers will still love the messages and characters and want to try the sequels A.S.A.P.! 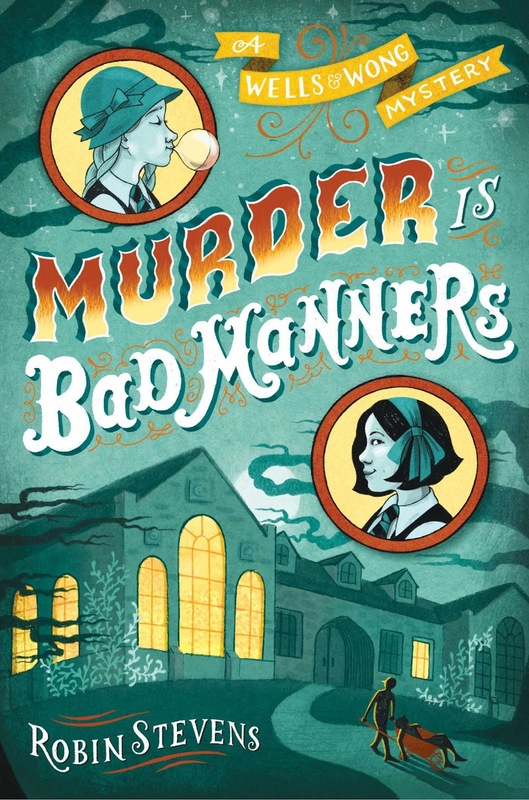 For MMGM, I am recommending the Wells & Wong Mystery series (Murder Is Bad Manners, Poison Is Not Polite, and First Class Murder) by Robin Stevens. 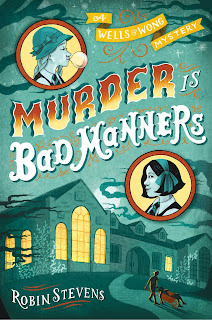 Two friends form a detective agency—and must solve their first murder case—in this “sharp-witted debut” (Publishers Weekly, starred review) that is the first adventure in a brand-new middle grade mystery series set at a 1930s boarding school. Daisy Wells and Hazel Wong are best friends at Deepdean School for Girls, and they both have a penchant for solving mysteries. In fact, outspoken Daisy is a self-described Sherlock Holmes, and she appoints wallflower Hazel as her own personal Watson when they form their own (secret!) detective agency. The only problem? They have nothing to investigate. But that changes once Hazel discovers the body of their science teacher, Miss Bell—and the body subsequently disappears. She and Daisy are certain a murder must have taken place, and they can think of more than one person with a motive. Determined to get to the bottom of the crime—and to prove that it happened—before the killer strikes again, Hazel and Daisy must hunt for evidence, spy on their suspects, and use all the cunning, scheming, and intuition they can muster. But will they succeed? And can their friendship stand the test? Some books are meant to be digested slowly and carefully, while others are designed to pull the reader through at lightning-speed and get them interested. Murder Is Bad Manners and its sequels fall into the latter category. This series (which I heard about from fellow MMGMers Michael Gettel-Gilmartin and Sue Kooky) combines a well-thought-out, intriguing murder mystery with the story of two very-different best friends in 1930s Great Britain. One of the best parts of this series is the characters. The two main characters are Daisy Wells, a popular girl at her boarding school who secretly decides to become a detective, and Hazel Wong (the narrator), a girl from Hong Kong who is befriended by Daisy and dragged into being her assistant. Daisy and Hazel have very different personalities (Daisy is impulsive, while Hazel is thoughtful) and sometimes fight, but this only adds to making their friendship seem very realistic. Both characters have their own struggles, such as family relationships and, in Hazel's case, standing out because of race, and these are well-illustrated in the series, especially the later books. Another part of the series that I love is each mystery. Filled with clues, twists, and both relevant and irrelevant secrets, the mysteries will grab the attention of any reader and leave them both shocked and pleased at the end. The series uses just the right amount of foreshadowing, making it challenging, but possible, to guess the ending. Finally, the victims and suspects are very realistic and compelling as well. The books in the Wells & Wong Mystery series will be enjoyed by both child and adult alike, with just the right balance of real-world elements and dramatic mystery. Note: The books in the Wells & Wong Mystery series were originally published by Penguin Random House in the United Kingdom, where it is known as the Murder Most Unladylike series. The books were then republished in the United States by Simon & Schuster. Book 4 (Jolly Foul Play) has been released in the U.K., and it will be released in the U.S. in April. Book 5 (Mistletoe and Murder) has been released in the U.K., but U.S. publication has not been announced. The same has occurred for the short story compilation Cream Buns and Crime (which contains the Deepdean Mini-Mysteries shown on Robin Stevens's website), and will most likely occur again for the untitled, but announced, book 6. A list of books is available on Robin Stevens's website, robin-stevens.co.uk. For MMGM, I am recommending a classic: From the Mixed-Up Files of Mrs. Basil E. Frankweiler by E. L. Konigsburg. Claudia knew that she could never pull off the old-fashioned kind of running away . . . so she decided to run not from somewhere but to somewhere—somewhere large, warm, comfortable, and beautiful. And that was how Claudia and her brother, Jamie, ended up living in the Metropolitan Museum of Art—and right in the middle of a mystery that made headlines. Forty years ago, two motion pictures, and millions of devoted fans later, From the Mixed-Up Files of Mrs. 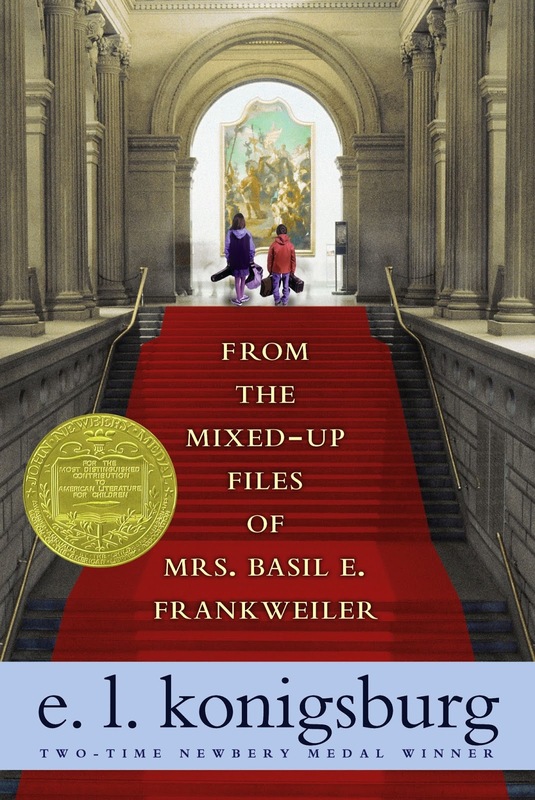 Basil E. Frankweiler remains a modern classic, a favorite of children and adults alike. I read this book several years ago, and, just like people did 50 years ago (it was published in 1967 and later won a Newbery Medal), loved it! There are so many things I could say about it, but I'll try to limit myself. Firstly, the format of the story is very interesting. The narrator is actually Mrs. 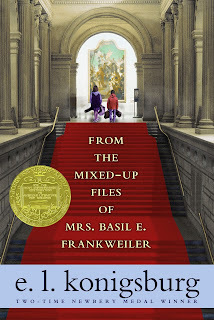 Basil E. Frankweiler, as she recounts the story of Claudia and Jamie for her lawyer. Her frequent interruptions to tell him something are amusing, and her narration is enjoyable. Claudia and Jamie are spectacular characters as well, seeming like both children (which they are) and intelligent adults (which they try to act like). The setting of the story, the Metropolitan Museum of Art (as it was during the 1960s), is very vivid, and its description shows why Claudia wanted to run away there. Claudia's internal conflict is set up very well, and Claudia is shown to change, as a person, throughout the course of the book. This book (which actually allowed Konigsburg to become the only person to win a Newbery Medal and Newbery Honor in the same year) is a classic for good reason, and even children and adults who wouldn't normally enjoy such a book will find themselves sucked in and happy from beginning to end. For MMGM, I am recommending The Extraordinary Education of Nicholas Benedict by Trenton Lee Stewart. As a fan of the Mysterious Benedict Society series (whose first book I recommended here), I was excited to read the series's prequel, and I'm glad I did — I liked it even more than the series, if that's possible! Just like with the main series, one of my favorite parts of The Extraordinary Education of Nicholas Benedict is the great writing, which is sometimes humorous, sometimes emotional, and always enjoyable. Nicholas, the main character, has both realistic flaws and many more good qualities, making him an extremely likable character. Two friends that he makes over the course of the book, John and Violet, are also very complex people, and even minor characters, such as some of the staff at the orphanage where Nicholas lives, have very realistic traits. The setting of the orphanage is well-described, and the plot is packed full of many different events, preventing the book from ever once becoming dull. Finally, the book tackles many interesting themes, such as bullying, family, and whether the world is actually as selfish as we think. 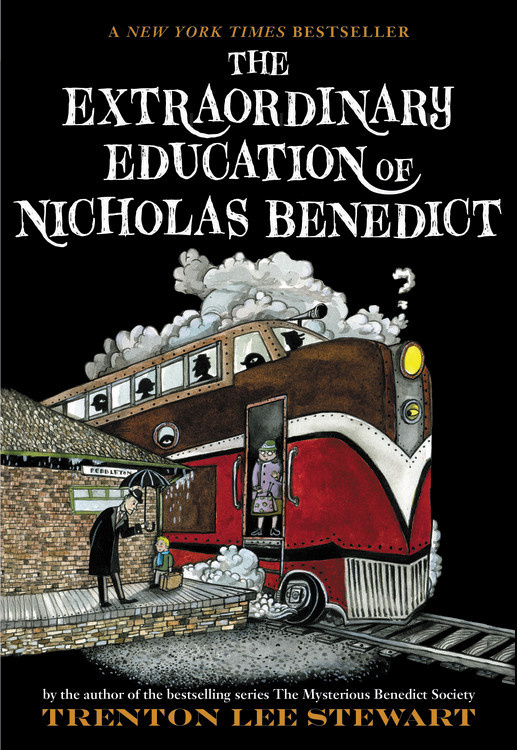 This book is both a great insight into one of The Mysterious Benedict Society's best characters and just, overall, an extremely enjoyable read! Due to July 4th, I will not be posting either a Poetry Sunday post (which I will do again soon!) or an MMGM review. I hope everyone has a great July 4th!